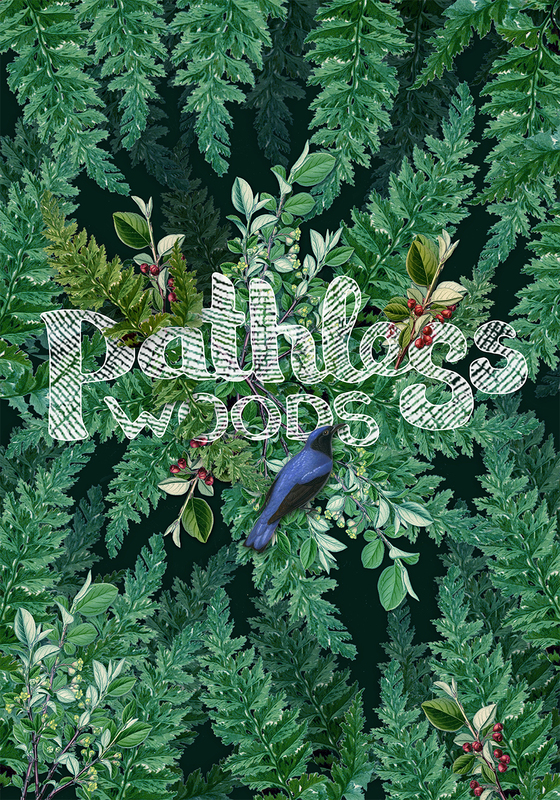 The “Pathless Woods” is one that is not affected by humans. This is the meaning of nature to me. I was inspired by 19th Century imagery that is now in the public domain. 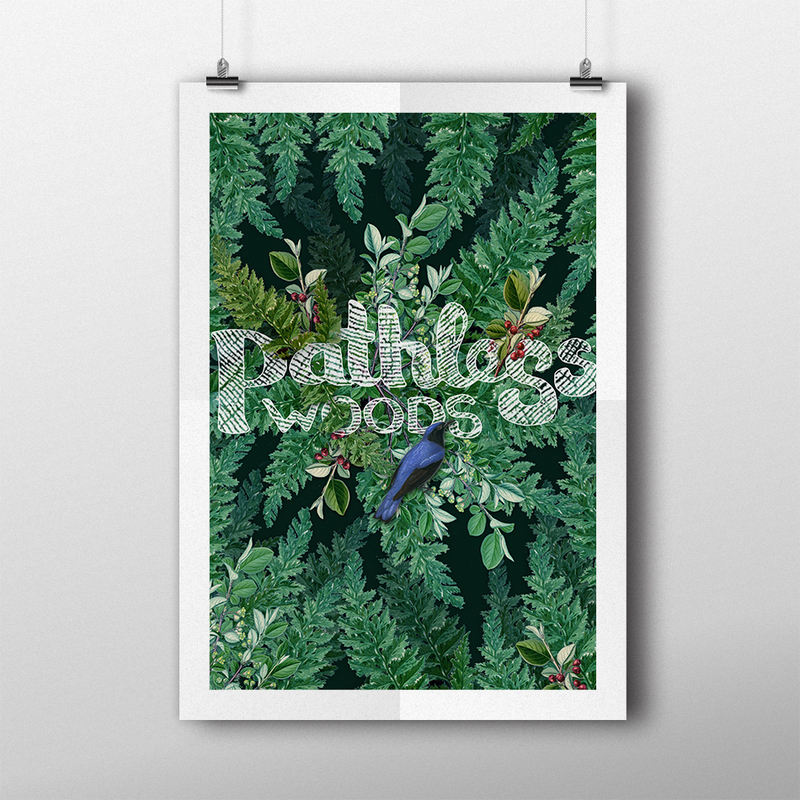 I used Photoshop to cut out elements of 19th Century art prints about nature and plants and them repeated and arranged them to form the background, representing a dense forest. The lettering was hand drawn on paper and cleaned up in Photoshop, and then given a wood-grain pattern. This poster was for the “Nature and Typography” Typoday poster contest.